These are the best burgers I've ever had. 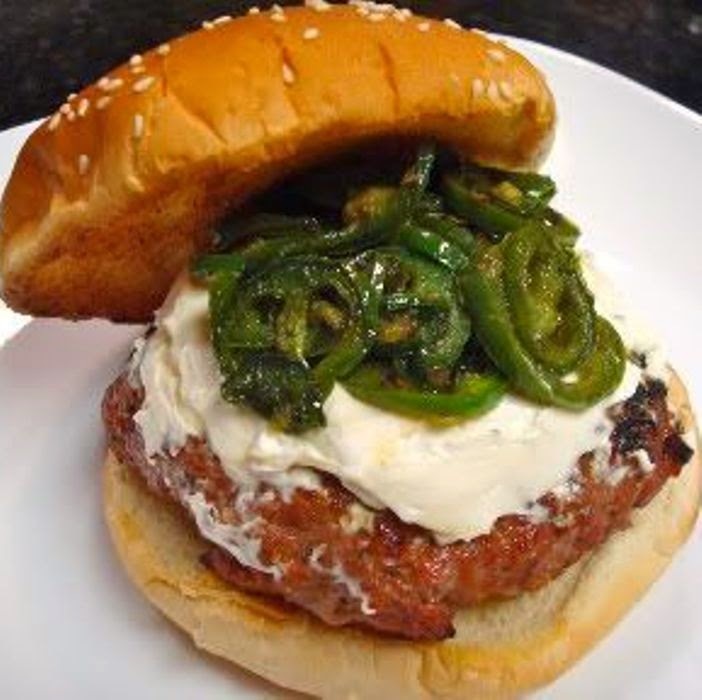 I made a version of these and I changed it a little....instead of Jalapeno peppers you can add anything or just do the cream cheese...trust me...it’s yummy!" 1. Preheat a grill for medium heat. When hot, lightly oil the grate. In a medium bowl, stir together the jalapenos and cream cheese. 2. Divide the ground beef into 16 portions and pat out each one to 1/4 inch thickness. Spoon some of the cream cheese mixture onto the center of 8 of the patties. Top with the remaining patties, pressing the edges together to seal. 3. Grill for about 10 minutes per side, or until well done, taking care not to press down on the burgers as they cook. This will make the cheese ooze out. Serve on buns with your favorite toppings.